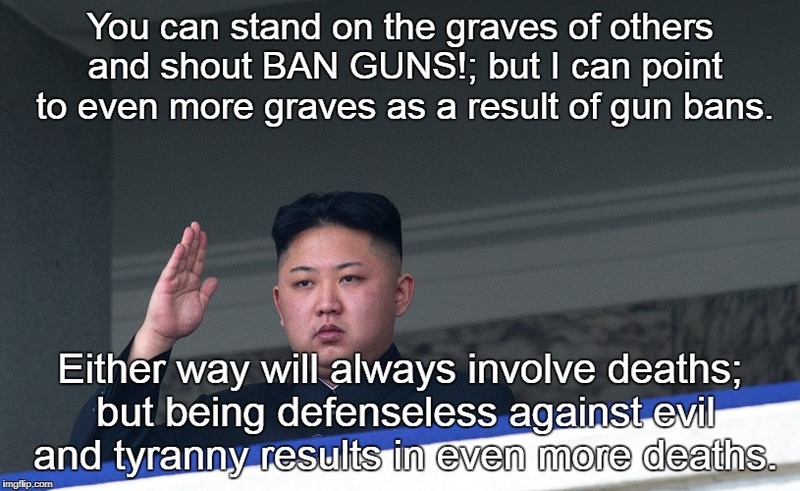 You can stand on the graves of others and shout BAN GUNS! ; but I can point to even more graves as a result of gun bans. Either way will always involve deaths; but being defenseless against evil and tyranny results in even more deaths.